Warrior Legend Manga Universe: On that day 3 years ago! On that day 3 years ago! 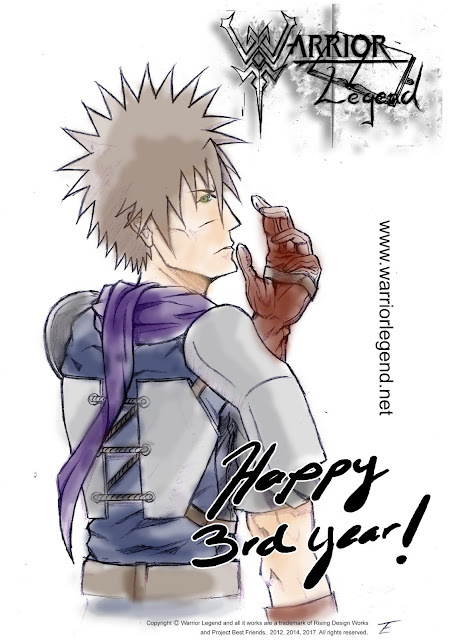 Hi reader, exactly 3 years ago today in the year 2014, I released Warrior Legend Chapter I. To mark this day with you I want to share an artwork of the main character Ozias for the upcoming WL Book in 2018! Hope you had a great X-mas and have a wonderful new year to come! I'll be back with more on the book in January sometime.